Among the world’s least developed countries, Comoros is a group of four islands in the Indian Ocean between Madagascar and northern Mozambique. The islands of Comoros are both one of the least populous and most densely populated countries in the world. Since gaining independence from France in 1975, Comoros has seen no less than 20 (real or attempted) coups. In 1999, a bloodless coup led to a power-share among three of the four islands, each with its own federal president, while the fourth remains under French administration, despite the Comoros Union’s attempts to claim it. The Comorian island of Anjouan declared independence in 1997. Anjouan rejoined Comoros in 2002, but in July 2007, the island’s president, Mohamed Bacar, opted for independence again. The African Union responded with sanctions and a naval blockade, finally helping to seize the island in March 2008. According to the U.S. State Department, the precarious agriculture industry employs more than 80% of the population and accounts for 40% of GDP. A plantation economy established centuries earlier by French and Arab merchants still dominates the Comorian economy with cash crops grown for export–namely, vanilla, cloves and perfume ingredients like ylang-ylang, of which Comoros is a leading producer. Lay of the Land: The Comoros consist of four volcanic islands–Grande Comore, Anjouan, Mayotte, and Mohéli–north of Madagascar in the Indian Ocean. Religions: Muslim (Sunni) 98.3%, Ethnoreligious 1.0%, Christian 0.5%, Baha'i 0.1%. Languages: Ndzwani Comorian 40.6%, Comorian 35.0%, Mwali Comorian 4.1%, French (official) 0.3%, Malagasy 0.1%, Arabic (official), Ngazidja Comorian. Comorian is similar to Swahili, but differs enough to warrant separate literature. The history of the Comoros is one of frequent invasions from outside groups, including Bantus from East Africa during the Swahili expansion during the first millennium, as well as peoples from Malaysia, Indonesia, the Persian Gulf and Madagascar. Long a transit point for migrants and traders, Comoros is thought to have been first settled by Melanesian and Polynesian peoples around the 6th century A.D. Arab migrants settled the island around the 15th century, introducing Islam to the inhabitants. Although populated by people of mixed African and Asian descent and “discovered” by various Europeans, the predominant cultural influence over the islands from the end of the 16th century was Arab. In the 19th century, France established colonial rule over the islands and placed them under Madagascar’s administrative authority. Comoros officially became a French protectorate in 1886. During the colonial period, French companies and Arab merchants established plantations to grow cash crops for export–mainly spices and perfume ingredients–an industry that continues to define the Comorian economy. Owners invested little in development beyond what was necessary to build the export business, and the diversion of funds toward cash crops and away from sustainable agriculture has left Comoros dependent on foreign aid and imports–including staples like rice. Comoros became an official French colony in 1912, under Malagasy administration, and in 1947 became an overseas territory, with representation in the French Parliament. In 1961 the islands were granted internal political autonomy, and in 1973 the French and Comorians agreed on an independence date of 1978. However, in 1975 the Comoros Parliament declared its independence from France. The island of Mayotte elected to stay with France and still remains under French administration. After a few decades of political violence and instability, the islands of Anjouan and Mohéli declared independence in 1997. Following more intense instability and shifting power dynamics that volleyed the islands to and from independence, voters backed a measure to give the two breakaway islands their own presidents and increased autonomy, while retaining control over security and financial administration. The reunited islands’ union assembly was inaugurated in 2004, and 2006 saw the first peaceful election in the country’s history. In 2007 the African Union stepped in to aid Comoros security forces when Anjouan president Mohamed Bacar refused to give up his post, and reinstalled himself with what observers called sham elections. AU and Comorian forces finally captured the island in March 2008 after having attempted to squeeze it with sanctions and naval blockades. Although relative peace and security, as well as hopes of a more prosperous era, were expected after the Union regained control this year, UN officials have expressed concern that rising food and fuel prices would bring further turmoil to the islands’ population. The U.S. recognized the Comoron government in 1977 and maintains friendly relations. The U.S. closed its Moroni embassy in 1993 and is now represented in Comoros by a nonresident Ambassador in Madagascar. 8 Comorans visited the U.S. in 2006. There have been no less than 6 and no more than 19 Comorian visitors to the U.S. per year since 2002. Comoros is one of the poorest, most underdeveloped and most indebted nations in the world. A steady decline in political stability since the nation declared independence in 1975 has also caused a decline in living conditions and quality of life. According to international reports, incomes have been shrinking in real terms in the past several decades. According to the International Fund for Agricultura Development, poverty varies greatly depending on the area, being most severe in rural areas: 41.1% of rural inhabitants are poor, and 79% of the poor live in the countryside. According to the U.S. State Department (2008), the U.S. receives a growing percentage of Comorian exports, but supplies less than 1% of the nation’s imports. However, these numbers are down in recent years. U.S. imports from Comoros totaled only $543,000 in 2007, down from $4 million and $16.5 million in 2003 and 2004, respectively. The single highest value export to the U.S. from Comoros in 2007 was “tea, spices and preparations” at $148,000, down from $3.8 million in 2003 and $16.3 million in 2004. U.S. Exports to the Comoros totaled $367,000 in 2007, with computers as the single highest value category export at $138,000. In 2007, all of the $113,000 in U.S. aid to Comoros went to International Military Education and Training and to Antiterrorism programs. That number will be increased to $150,000 in 2009, all of it allocated to military training. The suspected leader of the 1998 U.S. embassy bombings in East Africa, Fazul Abdullah Mohammed, is a Comoros national. According to the U.S. State Department, in 2007, all three islands had problems with: poor prison conditions, restrictions on freedom of press and religion, official corruption, discrimination against women, child abuse, and child labor. Civil and political freedoms varied by island; the U.S. State department maintained that citizens were able to exercise their rights through free and fair elections, disregarding the “illegitimate” elections run by Bacar on Anjouan. Corruption continued to pose a problem in 2007, with World Bank, resident diplomatic, UN, and humanitarian agency workers reporting that petty corruption is commonplace at all levels of the civil service. In addition to the civil and political freedoms emphasized by the U.S. State Department, economic, social and cultural rights are also severely constrained, mostly due to a lack of resources and funds, chronic underdevelopment and corruption. Services, such as those that make up human development indicators (healthcare, nutrition, access to adequate housing and water, etc.) are recognized by the U.N. and all other major international bodies as a basic human right. Therefore, their denial to Comorians, a good majority of whom live in poverty, constitute systemic human rights violations. Note: The United States established diplomatic relations with the Comoros on Aug 15, 1977, when Robert S. Barrett IV, was appointed Chargé d'Affaires ad interim. Barrett was resident at Antananarivo. Note: Also accredited to Madagascar and resident at Antananarivo. Note: Embassy Moroni was established Aug 26, 1985 with Edward Brynn as Chargé d'Affaires ad interim. Note: Also accredited to Madagascar and resident Antananarivo. Note: Also accredited to Mauritius; resident at Port Louis. Embassy Moroni was closed Sep. 30, 1993. Note: Also accredited to Mauritius; resident at Port Louis. Note: Also accredited to Mauritius and the Seychelles; resident at Port Louis. Comoros's Ambassador to the U.S. The Indian Ocean nation of Comoros, a group of islands at the northern mouth of the Mozambique Channel between Madagascar and Mozambique, sent a new ambassador to the U.S. in September 2012. Roubani Kaambi presented his credentials to President Obama on September 19, succeeding Mohamed Toihiri, who had served as Comoran ambassador since September 6, 2007. Kaambi is concurrently accredited as permanent representative to the United Nations in New York and as ambassador to Canada and to Cuba. Comoros has a population of about 800,000. Born on December 10, 1955, in Mistoudjé, Grande Comore, Kaambi earned his BA at the Lycée Said Mohamed Cheikh in the Comoran capital of Moroni, and postgraduate degrees in Public Law, and in History, Culture and Social Organization, from the University of Strasbourg in France. He is also a graduate of the National School of Public Administration of Morocco. Kaambi served as minister for Justice and government spokesman in 1993, with responsibilities for labor and employment as well. In 1994, he was chief of staff to Prime Minister Mohamed Abdou Madi, secretary general of the government, and president of the Support Commission for Institutional Reform in Public Administration. An educator, Kaambi taught high school philosophy in Moroni and in Mitsamihouli from 1995 to 2003, and was a law professor at the University of Comoros from 2006 to 2011. Kaambi is also the Diplomatic High Steward of EUCLID (Euclid University), an international intergovernmental organization with a university charter established in 2008. From 2003 to 2004, Kaambi was the government’s adviser on relations with ministerial secretaries general, later taking up the presidency of the Forum of Secretaries General, an institution responsible for preparing and evaluating technical and administrative government action. He was the communications adviser to President Azali Assoumani from 2004 to 2006. Kaambi is married and has four children. Comoros's Embassy Web Site in the U.S.
Comoros’ Embassy in the U.S.
On September 11, 2014, the Senate Foreign Relations Committee held a hearing into the nomination of Robert T. Yamate, a career Foreign Service officer, to be the U.S. ambassador to Madagascar and also for the Comoros. If he’s confirmed, it will be the first ambassadorial posting for Yamate. Yamate is from Monterey Park, California, a suburb of Los Angeles. He attended Cal Poly Pomona, earning a B.S. in mathematics in 1973. He then went to nearby University of LaVerne and earned an M.A. in education in 1977. He continued his graduate education at the University of Pittsburgh, earning an M.B.A. there in 1983. Yamate’s early Foreign Service assignments included stints in Tokyo, Japan; Budapest, Hungary; and in the State Department Operations Center in Washington. In 1989, he was made an administrative officer at the U.S. Embassy in Antananarivo, Madagascar. His first posting in that island nation lasted two years, after which he was made a management officer in the U.S. Consulate in Montréal. He was posted to Apia, Western Samoa, in 1994 as charge d’affaires at the embassy. He returned to Washington in 1997 as deputy executive director in the Office of Personnel. Yamate went to Taipei, Taiwan, as an administrative officer at the American Institute, which serves as the U.S. mission there. He returned to Africa in 2002 as a management counselor at the U.S. Embassy in Harare, Zimbabwe, and in 2004 was appointed minister counselor for management at the embassy in Abidjan, Côte d’Ivoire (Ivory Coast). Yamate was sent to Geneva as a minister counselor for management at the U.S. mission to the United Nations. He was brought back to Washington in 2008 as a multifunctional officer in the Bureau of Intelligence and Research. In 2010, Yamate returned to Africa as the deputy chief of mission in Dakar, Senegal, acting as charge d’affaires for a time in 2012. He has served since 2013 as an assessor on the Department of State Board of Examiners. Yamate and his wife, Michiko, work with animal rescue organizations abroad and enjoy tennis. He speaks French, Japanese and Hungarian. 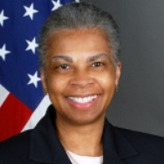 As a career diplomat with more than three decades of involvement in international affairs, Mary Jo Wills was confirmed by the United States Senate as the Ambassador to Mauritius and the Seychelles in December of 2009. Wills holds a bachelor’s degree in History from Chatham College in Pittsburgh (1973) , a Masters Degree in Business Administration from Virginia Tech, a masters Degree in National Security Strategy from the National War College, and is currently a doctoral candidate at the Virginia Tech Center for Public Administration and Policy (CPAP) in the National Capital Region. Mary Jo Wills began her career in the Foreign Service in 1980. Early in her career, Wills served as a desk officer for Nigeria, Sierra Leone, and the Gambia. From 1999 to 2002, Wills was the Deputy Principal Officer in the Milan Consulate. From 2003 to 2004, she served as an Economic Advisor in the Economic, Energy and Business Bureau. From 2004 to 2007, she Wills was the Office Director of the Africa Bureau’s Economic Policy Staff. From August 2007 to January 2009, she was Country Director for Southern Africa Affairs. Most recently, Mary Jo Wills was the Acting Deputy Assistant Secretary for African Affairs from January of 2009 until her most recent appointment.